correct me if I’m wrong but until now I’ve never seen a foundation release from Lavshuca in a tube. With the Fall Collection Lavshuca released a brand new foundation available in five shades with SPF 25 and it’s great, you need it. Considering I felt like the Fall Collection was very disappointing the fact that the foundation is simply awesome redeems Lavshuca’s terrible mistake with the new eye palettes! Sorry kids, just can’t love the new palettes and I didn’t indulge! I’ll hold out for the Holiday Collection. 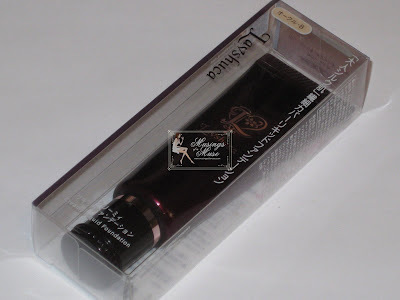 Lavshuca Creamy Liquid Foundation is extremely tiny! Indeed, major rant, there is simply not enough of this fine foundation in the tube! The tube is 25g which averages about .75oz or so…a little bit more but the fact still remains it’s tiny! Have you ever purchased a foundation this small before? I honestly can’t say I have. I did the comparisons below and showed the tube along side a small Prescriptives concealer and a MAC lipstick as you can see the tube of foundation isn’t much bigger than either one. It’s rather disappointing that it’s so tiny! I’ll obviously need to stock up this! Aside from the size the foundation is brilliant. I will redeem my minor rant by saying that the formula is very pigmented so a little bit goes a very long way which means a tiny tube should last you quite a long time but still I can’t help feeling disappointed it’s so small! The formula’s best feature isn’t only the fact it’s extremely pigmented! It also happens to be extra creamy, every smooth, easy to blend, and wonderfully moisturizing. It just gets better and better doesn’t it! All this for a drugstore brand…dontcha just love the Japanese? Only they could squeeze all those benefits into one tube, slap it onto a drugstore shelf, and sell it like it’s posh counter cosmetic! The formula is obviously waterproof because as you blend you can feel a strange but not unpleasant silicon-like dry down. I got about eight hours of wear before I needed touching up. 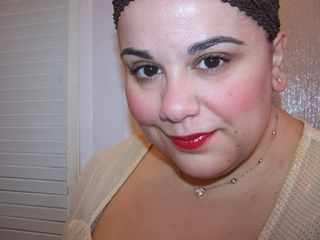 The foundation did not cake, crease, or turn ashy or gray after long wear on my face it simply blended into my skin perfectly while allowing my skin to breath. It’s not what I’d classify as a light foundation but it’s not heavy either. I think it’s safe to say it should work on normal, dry, and oily skin without problem because it seemed quite universally suitable for all skin types. 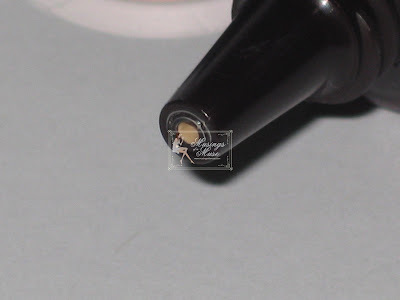 The applicator is a very thin nozzle which makes it great for quickly squeezing out a small amount. The tube also matches anything else you might have in your Lavshuca stash with it’s lovely deep aubergine packaging and silver scripted Lavshuca emblem. It’s a very elegant little tube. Although color selection is limited to five shades but it appears it’s a good selection of colors for tones ranging from light to medium but nothing suitable for very dark tones. If you’re a milky caramel or have a cinnamon finish to your skin you might be able to get away with either the colors OC-D or Beige C. These two shades look good for those tones. The tone I purchased was OC-B which is the lightest shade. 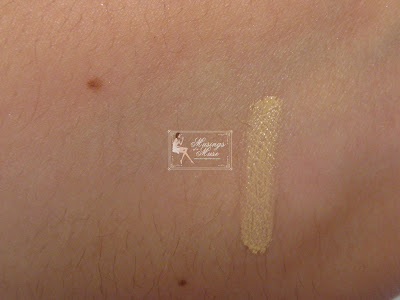 The shades do have a certain amount of beige and yellow to counteract any yellow tones in the skin but it’s definately something you’ll have to swatch in order to figure out the best available shade. I just winged mine and prayed. I paid retail which was probably under 1,500 yen. I’m not even sure of the exact price at retail as I had a friend purchase a ton of stuff for me and I didn’t ask after prices on each item. I have seen the tubes online at the original retail minus the 20% off must Japanese drugstores give you. Honestly, the original price of 1,990 yen is still a very good deal even though the size is small so I highly recommend nabbing one and trying it out for yourself as the foundation is holy grail material. The Muse is happy with this one! Good quality foundation from Lavshuca! Love it! 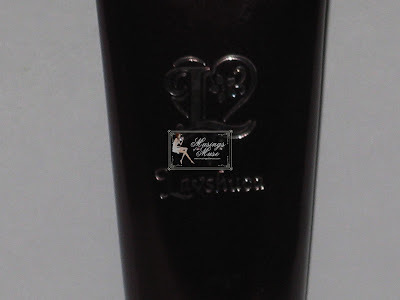 Muse Approval for purchase on Lavshua’s Creamy Liquid Foundation. I’m so happy you reviewed this because I have been very curious about the new foundation but haven’t dared to buy it. Now I will, because if they have a shade light enough for you it definitelly works on me too. The foundation as a tiny bit of a beige/orange tint but it still blends very well creating a nice canvas! If you need better swatches yell at me! I’ve been thinking about ordering this one but I am afraid that the lightest color might be too dark. Any idea if the lightest shade might work for NW15 skin tones? It may be a touch too dark for NW15 but it’s worth a try!!!! If you need further swatching give a yell! thanks for another great review, this reminds me of Aucoin’s SSE – is it less coverage than the KA SSE or similar? also, do you get all your Japanese cosmetics CPed? Ooh..the tube does look too teeny for a foundation. Anyway Izy, is this LE or going to be part of the regular line? You’re most welcome. Very similar however the KA SSE is a bit more thicker and offers much more buildable coverage. This is thick as well but not nearly as thick and coverage is great but not as much as you’d get from the SSE. I hope this helps. It’s a great buy though and actually just as good as the SSE! all my cosmetics from Japan are cp’ed yes. It’s very tiny sadly. But it’s pigmented so a bit goes a long way..however such a tiny tube of foundation is a bit ridiculous as you do get much more than that with most foundation purchases. It’s part of the standard line and I believe it replaced the moisture foundation that used to come in the pretty jars as that’s no longer available sadly! I have the Lavshuca base primer, and although it also has an odd beige/orange tint, it gives a really wonderful and luminous glow to the skin! It also provides decent coverage (I felt) to my freckles! Pretty amazing for a simple base primer huh? So I’m not really surprised the Liquid Foundation turned out to be amazing too. It was apparently meant to control oil and sebum, so I will definitely give it a try! I never tried the base as of yet but sounds gorgeous! The Liquid Foundation is truly outstanding. Definitely need some more of this! Thanks for your comment and I hope we talk again soon! Stop back and let me know if this works out for you when you get it! I bought the Lavshuca’s Powder Foundation N online recently, and it’s really amazing! It provides really decent coverage (my freckles are my benchmark tests, hehe), but maintains a dreamy and luminous finish just like the model on the poster! I bought the latest Jill Stuart foundation last month (hoping to get the same finish as the model in the poster) and was disappointed that it failed to deliver on providing the advertised dreamy and luminous finish. The Lavshuca’s Powder Foundation N together with its base primer (or even when worn alone) is my holy grail, so I would definitely recommend that you try the Lavshuca foundation soon too, I am sure you will enjoy it as much as I did. Sorry about my delayed reply! Thanks for coming back to rave as I’m so happy you loved this! The combination of products sounds like a great cocktail for flawless skin 😉 I feel my shopping list growing hehe. I really enjoyed this and was quite surprised that no one much mentioned it anywhere! 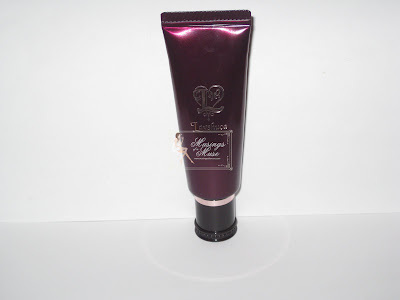 The foundation is definately wonderful and the only disappointing factor is it’s size! Thanks again for propping back to say you enjoyed it. I’m really happy to hear it! 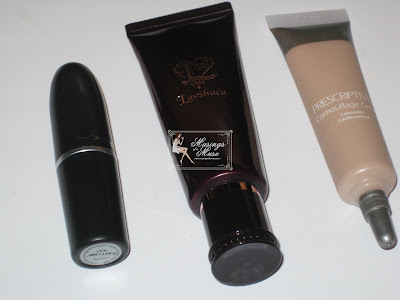 where can i purchase this Lavshuca Creamy Liquid Foundation or anything else from this brand? hi nikki brilliant 😀 enjoy. I do, I have a review buried around here somewhere…it’s quite good!